Charles Weatherspoon was preparing lunch for his family Jan. 4 when he told his son, Charles, to run some vitamins up to his sister, A’layah. Charles came back moments later from his sister’s room, telling his father that A’layah was playing a prank and pretending to be asleep. When Weatherspoon went up to check on his daughter, he found her hanging by a belt from her brand-new bunk bed. He immediately cut his daughter down from her makeshift noose, but by then, it was too late. A’layah, 9, died two days later. Now, months after burying his beloved daughter, Weatherspoon has some hard lessons he wants to share with other parents. A’layah Weatherspoon loved to smile and give hugs. There were warning signs, Weatherspoon now realizes, but he wasn’t aware how serious they were at the time. In an interview with the Oakland Press News, Weatherspoon recounts the bullying A’layah endured in the second and third grades. The children at school would call A’layah names and make fun of her braids, the texture of her hair, tell her she was ugly and that nobody liked her, Weatherspoon said. She entered the third grade last fall and the bullying appeared to escalate. She would call from school and ask to come home complaining of headaches and stomachaches, he said. She would tell her parents she didn’t want to go to school anymore. It wasn’t until after her death that Weatherspoon said he realized those were signs that her treatment was affecting her mental health. The Press News notes that A’layah’s school, Cooley Elementary in Waterford, Mich., had implemented a number of nationally recognized anti-bullying programs, including once-a-month peer-to-peer discussions on bullying, conflict resolution and friendships. A superintendent for the Waterford School District also told the Press News that the districtwide policy for bullying involves contacting the bullied child’s parents immediately, as well as the bully’s guardians. But no allegations of bullying were ever brought forward to Cooley staff. Weatherspoon says he’s not placing blame on the school and instead regrets that he never had a chance to talk to his daughter about what was bothering her. “I had asked her before if she needed to talk to someone and she would say, ‘No, Daddy.’ I think she was embarrassed. And then, on New Year’s Day, she said she really, really needed to talk to me,” Weatherspoon told the Press News. A’layah had been behaving distantly lately, and Weatherspoon noticed that something was off, but he never imagined it could be so bad that it would provoke her to take her own life. Little Black Girls Are Killing Themselves. Does Anyone Care Enough to Figure Out Why? Weatherspoon told the local outlet that he and his daughter had planned to talk the day she killed herself. He would find out later that A’layah had talked to her brother about committing suicide the summer before—information the younger Charles didn’t reveal until after his sister’s death. The grieving father also recalled an incident in which A’layah may have gotten a concussion on the playground. The injury could have contributed to her death, he believes. As the Press News reports, a few weeks before her death, A’layah came home from school with “a large bump protruding from her forehead just between her eyebrows and a small cut on the bridge of her nose.” The 9-year-old girl told her parents that she had run into a pole during recess. A spokesperson for the Waterford School District admitted that the school had made an error by not notifying the parents about what happened. “When a child is injured at school, it is our policy to notify the parent. On this particular day, the student hit her head on a piece of playground equipment. She was given ice for the area. However, the parents were not notified, which was a mistake,” Rhonda Lessel, director of Waterford school and community services, said in a statement. Weatherspoon suspects that she suffered a concussion—which some studies have shown can increase a child’s overall risk of depression (other researchers, however, dispute this). A’layah’s death is part of a disturbing trend of higher suicide rates among black girls. A HuffPost article from 2015 reported that the suicide rates for elementary-age black children nearly doubled between 1993 and 2015. It was the first time a study found that the suicide rate of black youths had surpassed that of their white peers. 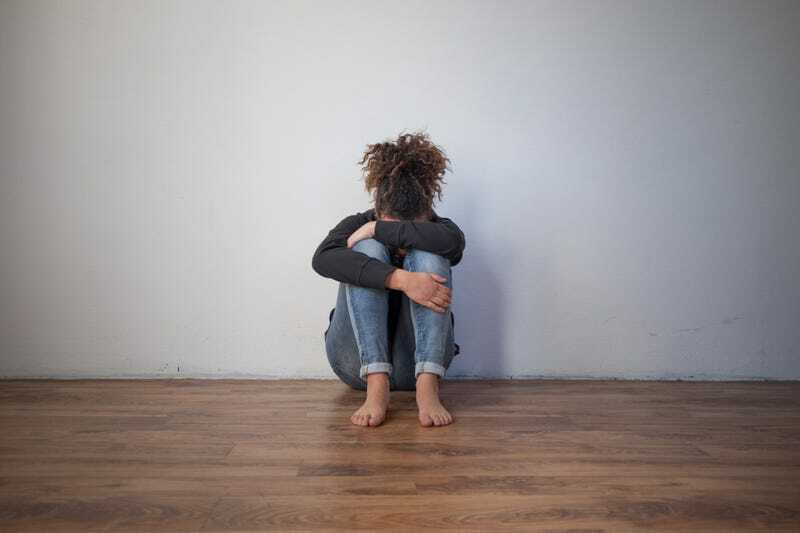 And a more recent report by Rolling Out shared data from the National Center for Health Statistics revealing that the suicide rate among black girls ages 10-14, while still relatively low, had tripled.